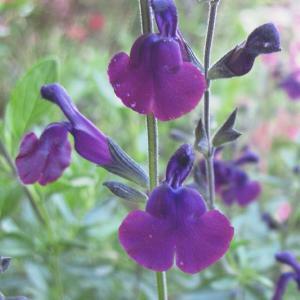 Salvia x jamensis ‘Nachtvlinder’ is one of the most enchanting of the ornamental woody sages. Hooded flowers are sumptuous regal purple from late spring to autumn and in profusion from late May right through to the first frosts. Does best in a sheltered well drained site in full sun or part shade. Drought tolerant and very hardy once established. Height and spread to around 50cm x 50cm. Salvia x jamensis ‘Nachtvlinder’ is a new hybrid discovered at Hans Kramer’s Nursery in Holland. 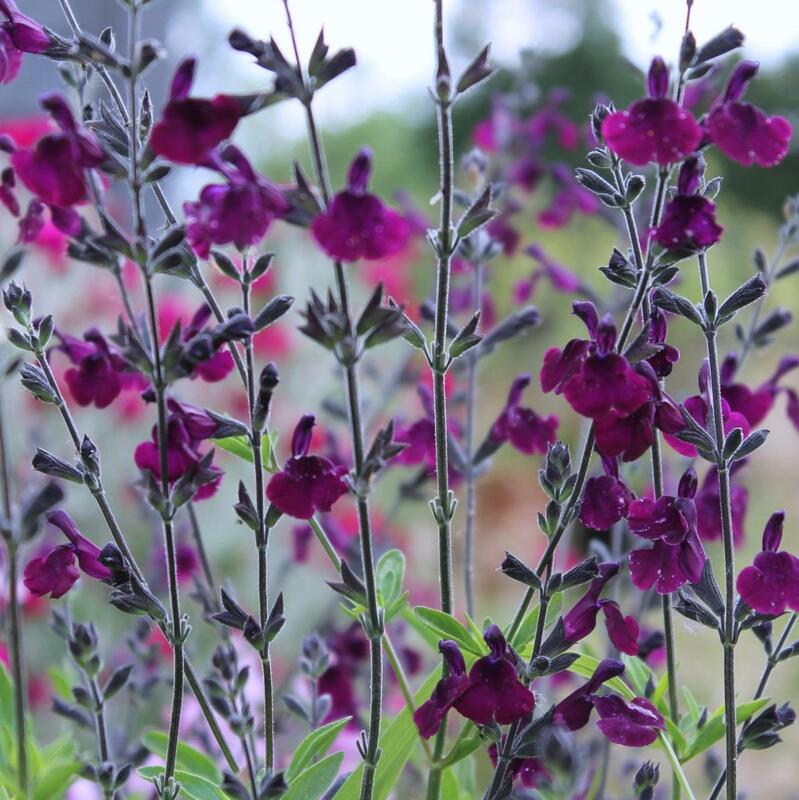 With lovely aromatic foliage a good upright habit and regal flower colour, this is indeed a treat. There are many reports of the plant being tender, but it was bred in Holland where winter temperatures are colder and my own experience tells another story. It is a suckering perennial and needs to be well established in order to survive any winter. A good mulch in winter is never a bad plan. The name Nachtvlinder is dutch for Moth, or more literally translated ‘Night Butterfly’.